In 2014, the Friends contribuited towards the cost of decorative acoustic panels in the cafe. In 2013, the Friends of the Library donated a stand for one of the flat screen display televisions we received from the University of Pennsylvania.In 2012 the Friends donated six Kindle Touches to the library. They also contributed to the purchase of two early learning computers for the children's room. In 2011 the Friends donated two new signs to publicize library activities: a rolling sidewalk sign and an enclosed signboard at the rear of the building. The Friends of the Library donated two LED signs to publicize library services and events in 2009 and a rug for the foyer in 2010. They also subsidized 2009 events such as community outreach, National Library Week, Summer Reading Club and the Family Fun Festival. In 2008 the Friends donated two benches, for your resting pleasure, that sit at intervals in the arcade leading from the parking lot to the front door of the library. 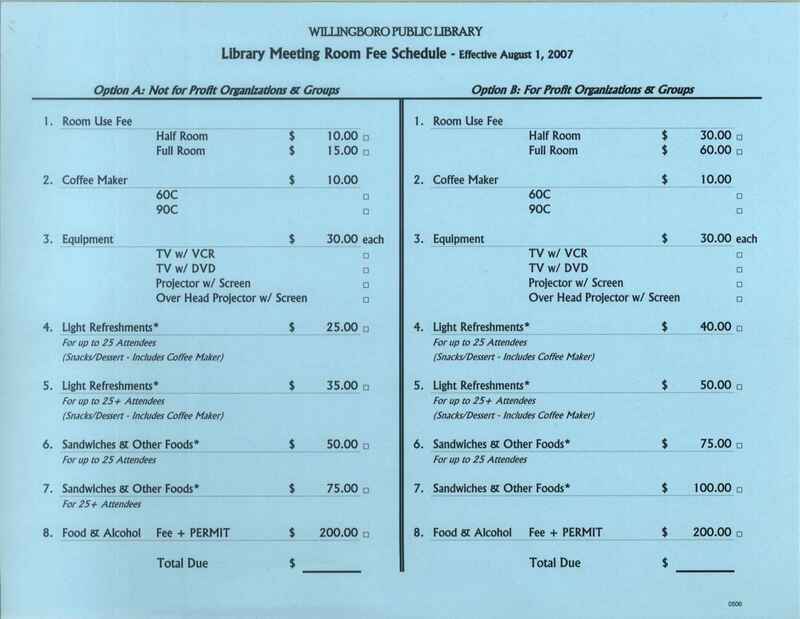 In years past, the Friends have given the library a piano, an LED projector, a podium and sound system, benches in the exhibit room and an electric mobility cart, as well as the donor board in the lobby. We thank the Friends for their continued generosity.